In the digital age, our posture has regressed to a hunch. Our faces become absorbed by cellphones, TVs and computers daily. I sought to escape this habit through sports such as slacklining. This sport in particular requires complete focus as one walks across a line of nylon webbing. Balance is maintained through fluid motions that activate every part of the body. The movements derived from this sport inspired me to further explore how this could be incorporated into a seating device. I created models that encouraged the user to balance and feel their body position. I wanted a device that would stimulate the sitting experience through an exploration in posture. 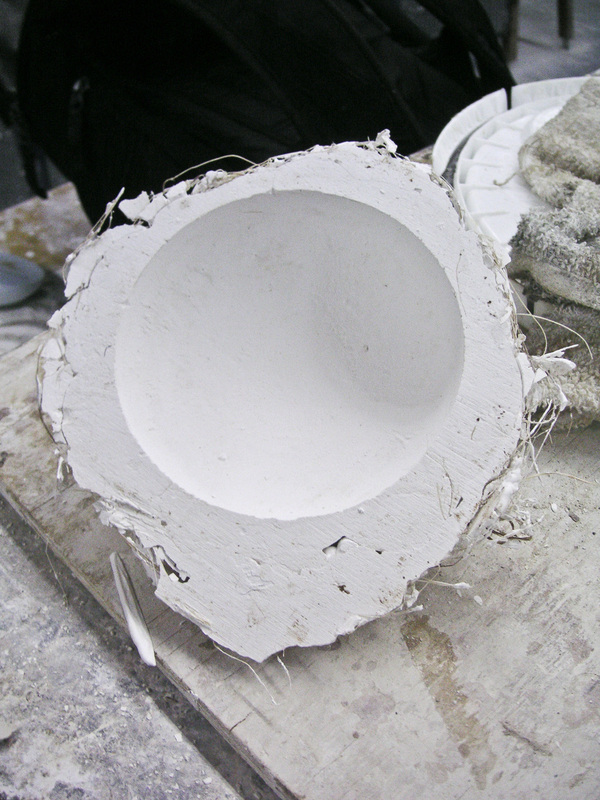 The final piece reflects the movements of a bowl in water. This instability encourages the user to question how they sit. The upper segment is made of the soft hardwood Poplar atop a coopered base made from the denser hardwood Walnut. The floating sensation comes from ball bearings moving inside a metal bowl between the seat and base. The initial movement inspiration, slacklining. Simulating the balance movements found in slacklining with a center pivot point - allowing motion in 360 degrees. This model displayed a constricted side to side movement using a mounted skateboard truck and a skateboard deck with a guide. This model represents the same side to side motion, but with the added instability of a moving center point. These nesting measuring cups further enhanced the 360 degree motion of the first model without the center point tipping effect. Using plaster and hemp for modeling. 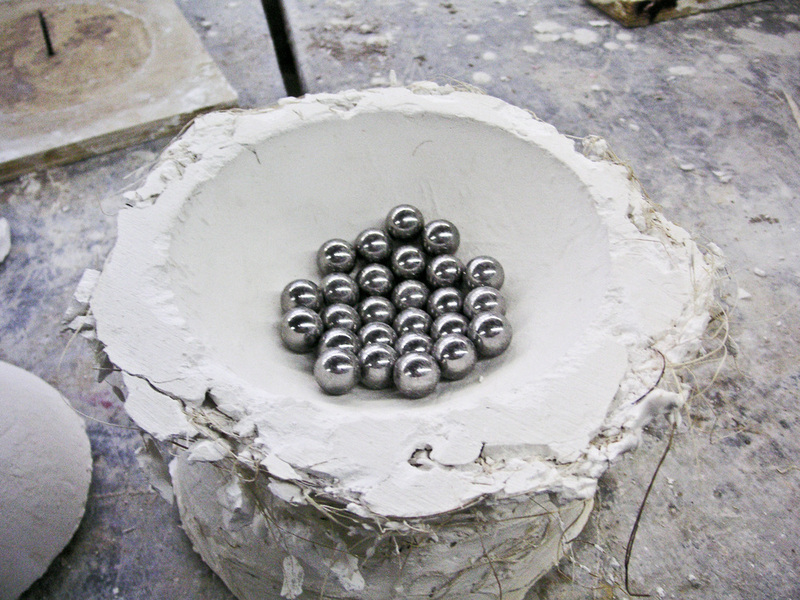 I used ball bearings in the base to create the consistency and fluidity of motion found in nesting bowls. The upper bowl moves within the lower bowl shaped base with smooth consistency.